For the third year in a row Pagans in the Twin Cities area gathered to honor all fallen Service Members and hold a special ritual for fallen Pagan Service Members. 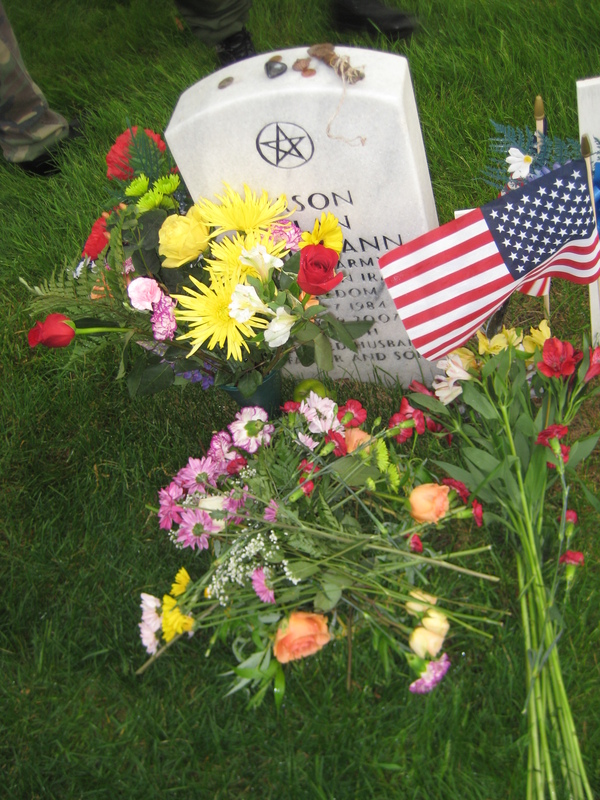 There are now two headstones in the Ft. Snelling Cemetery that bear pentacles – one for Sgt. Jason Schumann and the other for Specialist Daniel Schrankler. 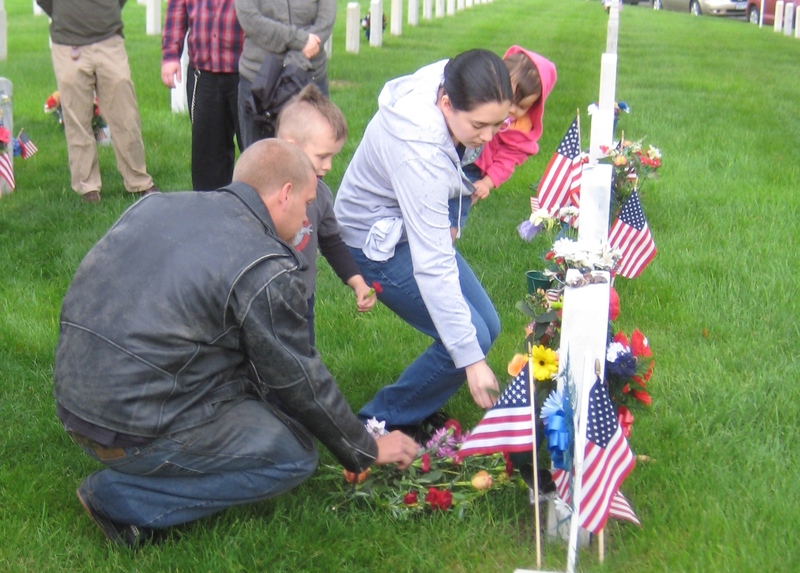 Thank you for honoring my son’s grave! We moved last year to Indiana, and it breaks my heart I could not be there, but I am comforted knowing that he was surrounded by people to honor and remember him. And looked at the dead on the hill. Cut off in their earliest years. But all were still, how still! At the poor dead lying there. She watched them from above. Who gives for faith his life. That manhood still doth live.